Acer Pakistan is one of the reliable names in the world of Computers. Acer Pakistan is leading company providing the wide range of Laptop, notebooks, net book, Desktop, LCDs, Projectors and servers. Acer Pakistan is ranked among the top three I.T companies in the world. Acer Pakistan is giving its services in Pakistan for last many years. Acer Pakistan is providing all of its products in Pakistan's computer market. Acer Pakistan has earned good name especially in Laptops in Pakistan because of its wide range of models and various price range. Acer Pakistan is launches fresh technologies time by time with competitive price. 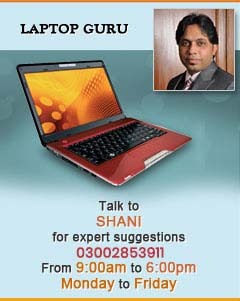 Laptop prices of Acer Pakistan starts from twenty five thousands and goes up to one lac twenty thousands. SRT is the IT vendor, Karachi based company is the one of the registered reseller of Acer Pakistan. We offer all the latest available technologies and product of Acer Pakistan. We are the authorized dealer in Acer Pakistan and provide the services in Karachi as well as throughout the Pakistan. Acer Pakistan has introduced its basic four models Aspire one, Extensa, Ferrari and emachine. Each of these models of Acer Pakistan has different specification and price fluctuation according to the need of the user. Acer Pakistan also deals in desktops. Some of the most popular desktop of Acer are Intel dual core processor E2220, Acer AX1200-B1792A, Acer aspire AM5621-U5631A and many more are available.